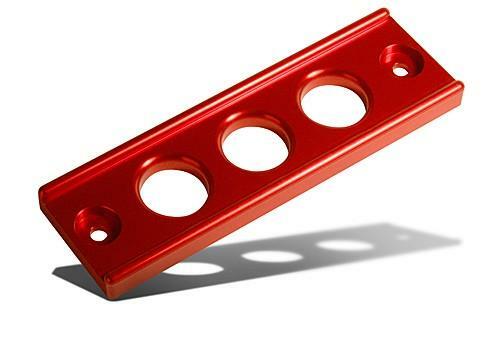 BLOX Billet Battery Tie-Down - Lightning Motorsports - Selling Speed since 1996 ! BLOX Racing’s billet battery tiedown not only looks great, but your battery will be securely positioned during spirited driving or racing. Each battery tiedown is CNC-machined out of billet aluminum and features radiused holes to give it its unique dimple-punching effect. Available in anodized black, flat black. blue, gold, gun metal, purple, red, silver and in raw aluminum.